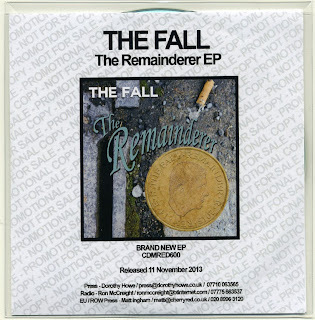 John here has been listening to The Fall since the group released their first record Bingo-Master’s Break-Out! back in 1977 and has been a constant fan. Recently, more and more, their music has formed a backdrop for working and has provided a source of inspiration for writing. Re-Mit, their 30th studio album will be released on Monday by Cherry Red. There is a great Pebbles’ acid garage feel to parts of the album and a real tightness to the playing: this is the fourth record the current incarnation of the group have made together. 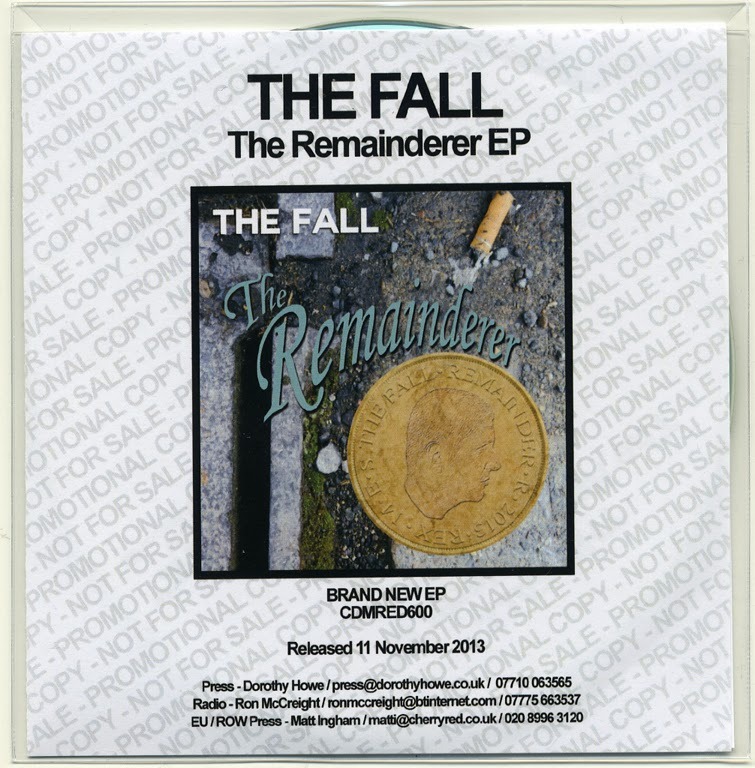 Naturally, it isn’t really possible to properly review a new record by The Fall as first impressions rarely reveal the true depth of the songs or the hidden structures of the whole. Only over time do little, psychedelic masterpieces (like Early Days of Channel Fuhrer or Inevitable or Birthday Song) begin to emerge and burn their way into your mind. As with much of the group’s body of work this sounds like a grower. With twelve songs, including the recent, vinyl-only, singles Re-Mit on initial listens seems very well balanced: it’s tuneful and less vitriolic than the previous release, Ersatz GB. Guitar and keyboard melodies appear throughout in unexpected places and in innovative ways. The clear production is an excellent match for the songs and there’s a great mixture of Dada noise and playfulness throughout. Opener No Respects (Intro) is bright and speedy with a surf-punk vibe and a welcome clarity: the keyboards bring to mind the early Stranglers as much as The Fall. Next, recent Record Store Day 7” Sir William Wray recalls classic Fall singles High Tension Line and Theme from Sparta FC #2. It sharpens the sound of the album with a hard edge. Although there is no cover version on this record, Kinder of Spine started life as Spider live, and the lyrics reference Spider and the Fly by The Monocles. Hittite Man with its pounding bass and squirting acid guitar is bookended by the shorter experimental electronics and vocal strangeness of Noise and Pre-MDMA Years. No Respects Rev has a poppy bounce: tuneful keyboard lines counterbalance equally tuneful vocals and chiming guitars. 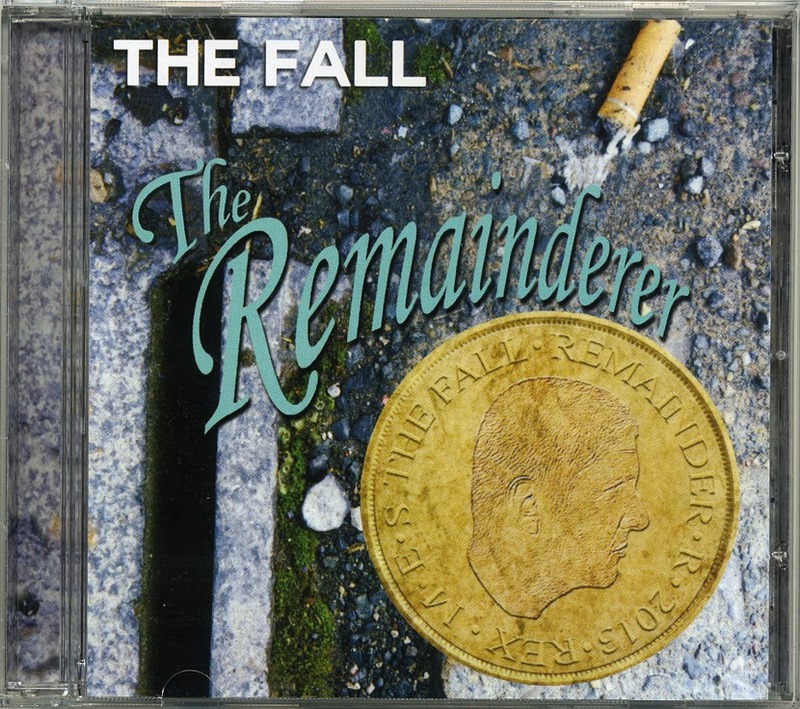 With 37 hard-working years of experience it shouldn’t surprise when Mark E Smith and The Fall create something astonishing like Victrola Time. Building on an electronic and rhythmic bass and drum intro, the song is an event in itself. When they finally arrive the vocals are deranged: utterly demented and almost unrecognisable! The vocal delivery is then multi-tracked, treated and gradually settles as the song emerges through layers of keyboards and locks into a hypnotic groove. It is clear that this is music made through a genuine love of 70s German bands like Can and Neu! Irish works edgy guitar against a stream of consciousness vocal delivery, growls and hisses, over rhythmic hops and skips and sits well beside Jetplane where multi-layered vocals create textures and relate a surreal story song over a marching tempo. Jam Song has the most unusual structure and is nothing like a jam: keyboards interact with guitars, constantly shifting, and once again vocals are used as instruments and the melody lines reveal themselves gradually. Loadstones is fantastic and closes the album on a high. 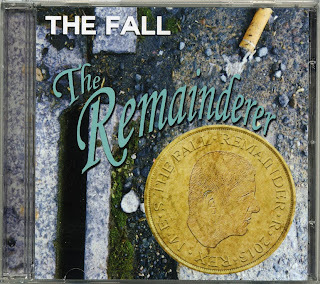 Another earworm from The Fall: working its way into your brain. The total of 30 albums is somewhat misleading and live releases: Totale’s Turns, Seminal Live, 2G+2 and The Twenty Seven Points all contain studio tracks while other live albums (like Austurbaejarbio or In the City…) are so utterly brilliant they deserve to be counted on their own right. Stone classics like Grotesque, Slates, Hex Enduction Hour, The Wonderful And Frightening World Of…, This Nation’s Saving Grace, Bend Sinister, Fall Heads Roll or The Real New Fall LP continue to attract new fans but it is LPs like Levitate, a compelling and intense creature (akin to Sister Lovers Big Star’s third album), or The Marshall Suite that really repay repeated listenings. Mark E Smith intuitively understands that rock and roll music is something mysterious that can’t be pinned down. The modern sounds the group create blend influences and innovation: avant garde classical music like Stockhausen; early Sun Records rockabilly; experimental free spirits like Lee Hazlewood or Link Wray; The Mothers of Invention; The Stooges; off-beat reggae and weird dub like Lee Perry; garage punk groups like The Monks and The Sonics; country and western, esoteric electronic music like the Irdial label; swaggering techno; drum and bass and jungle to name but a few, all feed into The Fall world to create something new and unique. Live The Fall can be mesmerising. Occasionally they can disappoint but then you cannot have a maverick conformist. 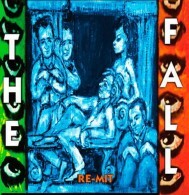 Like a jazz band The Fall are a working band and can never be underestimated.